It's all about process for Tycho's Scott Hansen (right), who brings his heady electronica to the Knitting Factory next week. Scott Hansen finds it impossible to compose a song without leaving his fingerprints all over it. It doesn't matter if he uses new instruments and effects, plays in a different style, or reroutes all of the signal pathways. It all ends up sounding like Tycho. "I think the process I use is going to shape pretty much any sound that comes in the front end," he says. "At the end of the day, if I'm in control of the process, it's going to end up sounding like it's in this specific space. I think that's true for any producer, and that's what I think is cool about producing: The process becomes the instrument. The songs are all being written by the process, in a way." Indeed, Hansen is most intrigued by the mysterious ways songs develop on their own. For example, when he's building instrumental tracks layer by layer, unintended tone colors and chords usually emerge from the mix. "I'll listen back to my songs and think, 'That's an interesting chord progression,' but I never played it. I stacked these three tracks and put a ton of reverb on one, and the reverb blended into another track and created a chord, or whatever," he says. For Hansen, that sort of unpredictability is exciting: "If a person thinks of it, then it's predictable, but if you didn't think of it and it just kind of happened out of the process, I think that's more interesting." 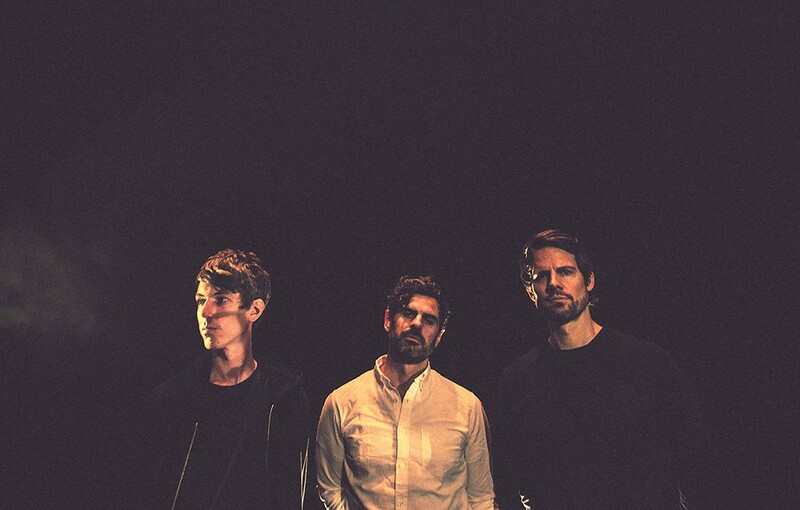 Tycho is Hansen's solo project, but he fills out the sound with a full band in the live setting and incorporates audiovisual elements that create a dazzling overall experience. The project is known for chilled-out, down-tempo and atmospheric soundscapes, which have inspired a string of excellent soft electronic albums: Dive (2011), Awake (2014) and Epoch (2016). Dive, especially, is considered a genre classic. Hansen started making demos for the album in 2004 — well before he made music for a living — and slowly chipped away at the project for several years, working on the side as he pursued a career in graphic design. "It's kind of unfair to compare that to my other records, because it's kind of a compilation of all the best ideas I had over a very long period in my life," he says. "Awake and Epoch were under various constraints — you have to put out records to tour, you have to keep creating content. Those records, from the first note played to the final product, took nine to 10 months, tops. There are definitely moments now where it's like, man, I'd really like to spend that much time on a couple of songs." Now that he's a professional, Hansen's working routine involves making beats late at night. He'll start messing around with a guitar or keyboard, waiting to hear a phrase he can build around, and adhering to a backward philosophy when it comes to the roles of the two instruments. "The guitar on my records is sampled and replayed, and with guitar I'll make it sound more robotic," he says. "I like to keep the synths loose, because synths are what you kind of expect to sound robotic. I guess I try to invert that relationship." Over the countless hours at the production console, he's picked up some tricks that streamline the process. In the past, he would shoot for a lo-fi sound by soaking every element of the song with tons of reverb and delay. But he discovered that that's much too messy when he's mixing 20 tracks. "Later, I realized you only need to take a couple of tracks and make them warm and dirty," he says, "and then the whole song will still have that feeling, and it's a lot easier to put the mix together." Though he's very much an electronic artist, Hansen's inclination to work with lo-fi textures is a product of listening to classic rock 'n' roll — namely the Beatles and Led Zeppelin. In an effort to recreate the warmth of those bands' recordings, he likes to cut off the high end of the mix to produce a sort of wobbly vibrato. The original print version of this article was headlined "Signature Sound"